We’re delighted to welcome Simon Communities Ireland to Jobs Expo 2015. 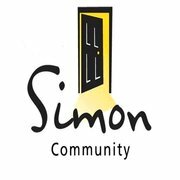 Simon delivers support and service to over 5,000 individuals and families who experience – or are at risk of – homelessness on an annual basis. The Simon Communities of Ireland is an affiliation of local Communities in Cork, Dublin, Dundalk, Galway, the Midlands, the Mid West, the North West and the South East. The organisation was founded by a group of Trinity and UCD students in 1969, who began by providing much-needed soup and sandwiches to people who were sleeping rough in Dublin city centre. In the 40 years since then Simon has continued to grow responding to local needs as they arise. Simon can now be found in every county in Ireland and continues to play an important role as it has always done in identifying new needs and in developing innovative and cost-effective ways of dealing with existing needs. Emergency accommodation and support providing people with a place of welcome, warmth and safety; Soup runs and rough sleeper teams who are often the first point of contact for people sleeping rough. Visit their website Simon Communities Ireland to find out more.